How does the A-lift work? 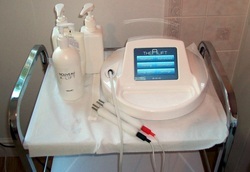 The A-Lift recharges your skin cell batteries (ATP) by delivering nano-currents onto the skin and through muscle tissue. When these levels increase, your skin renews itself quicker, taking on the characteristics of younger skin, tightening the muscles around the face,neck and jaw. Your skin will immediately look brighter and have a healthy glow. Your A-lift treatments are personalised to also address skin problems such as dullness, dryness, dark circles, sun damage and spots. Nano-current is a proven technology dating back to the 1980s, it was originally used to treat facial weaknesses in stroke sufferers. Today, the technology is also used to speed up healing following burns, injuries and surgical procedures. After years of research, this technology was adapted to create the A-lift machine and A-lift treatment. What is the difference between Micro-current and Nano-current technology? 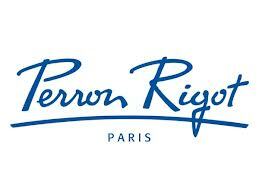 Some of the world’s most recognised facial toning treatments use micro-current technology. Although both technologies deliver a current to the skin and underlying tissue, they work at very different frequencies and generate totally different results. Micro-currents stimulate muscles in the face causing contractions and tightening of the muscle. Nano-currents stimulate skin cells, re-energising them so they work like they did when they were younger. The A-lift machine matches each client’s unique natural frequency -This only occurs if the frequencies are aligned. Why is there no sensation felt like those experienced with micro-current facial technology? The sensation you feel during a micro-current treatment is caused by muscle stimulation,the muscles contracting and giving your face a workout. Nano-current technology isn't stimulating the muscle, instead it re-energises the cells which cant be felt. The "No Pain, No Gain" theory definitely doesn't apply here, the A-lift is totally pain free. Since our bodies generate new skin by copying our existing cells, all new skin cells are actually copies of each other. Each copy takes on the characteristic of the new skin cell before it. By boosting the ATP levels of the cells, the copies begin to mimic the newly energised cells that proceed them, maintaining the benefits longer. One treatment, including consultation and after care usually takes around 1.5 hours. For optimum results, professionals recommend a course of 10 treatments over a 1 month period, usually 2 treatments a week. Following the course, a monthly top up of 1 treatment is also recommended. As the A-lift in a non-evasive treatment, no down time is needed. Most clients notice results after their first treatment, their skin glows and looks radiant, deep lines reduce and in some cases fine lines disappear. Your complexion will look refreshed and revitalised for days afterwards, which is why many clients love booking treatments in before big events. 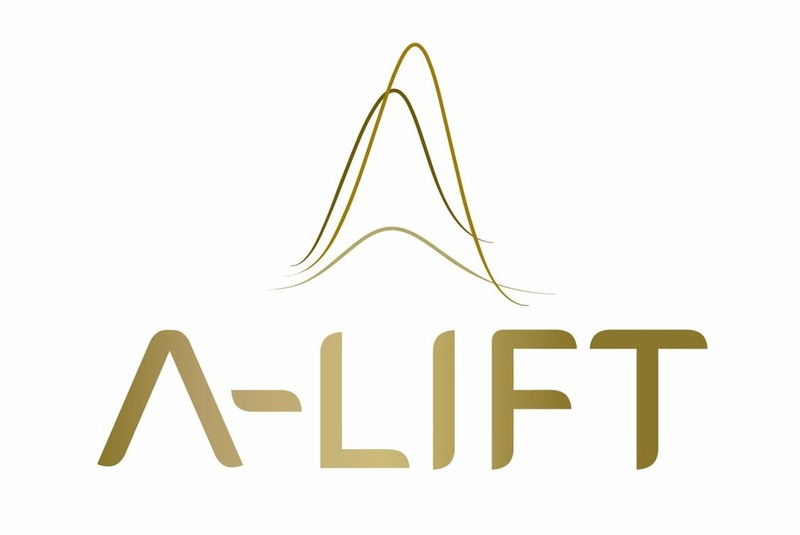 The A-lift, unlike surgery, works on the root cause of the problem areas for long lasting effects, therefore optimum results will be seen after a short course usually completed within one month.